Leonardo Da Vinci was born on 15 April 1452 in Vinci, near Firenze. Master artist, sculptor, painter, inventor, architect, designer, engineer, brilliant scholar in science, philosophy and medicine, Da Vinci is most deserving of the title “Renaissance man.” Best known for his breathtaking masterpieces, such as Mona Lisa (or La Gioconda), The Last Supper, Adoration of the Magi, and self-portraits. His magnificent and realistic sketches of anatomy, and drawings of things to come – airplanes, helicopters, modern tanks and parachutes – are reminders that his genius is unmatched centuries later. 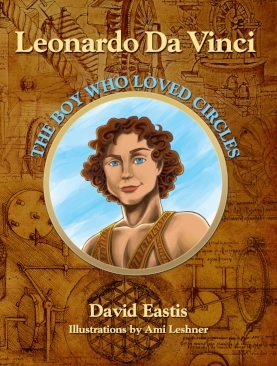 Da Vinci died on 2 May 1519 in Amboise, near the French palace of King Francis I, who hired him to create some of his last masterpieces and talked with him almost daily. After Da Vinci died, Francis I was in possession of the Mona Lisa, and it remains in the Louvre in Paris to this day. Precipitevolissimevolmente which means as fast as possible, was created in 1677. With 26 letters it is considered the longest word in modern Italian. There are longer words describing medical or obscure terms. Vinci, where Leonardo Da Vinci was born, is a picturesque town surrounded by vineyards and olive groves. Tour the Museum of Leonardo da Vinci, http://www.museoleonardiano.it/eng the birthplace of the Renaissance Man and the Church of Santa Croce where he was baptized. Cortona, the city made more famous by Frances Mayes’ “Under the Tuscan Sun”, is the quintessential Tuscan hill town where the author revels in the delights of buying and renovating her villa “Bramasole ” (in Italian: “to yearn for the sun”). Mayes makes the people, food, wine, olive and cypress trees-- in fact all that is beloved about Italy--come alive with passion. With towering views of Lago Tresimeno and beautiful sections of Tuscany and Umbria, this picturesque town of Cortona is unique. Don’t miss visiting the Enoteca Antica Drogheria, Via Nazionale 3 Tel. 0575.631076. Owners Benito and Marsilia Rossi serve a refreshing complimentary aperitif to guests and offer an excellent selection of Italian wines along with some dried pastas, balsamic vinegars, herbs and spices. Tentimenti Luigi d'Alessandro. Founded by Luigi d’Alessandro who bought the estate in 1967, his two sons Massimo and Francesco run the winery today. They have become the leading vintners to advance Syrah during the past decade and are one of the world’s best Syrah producers. Let’s take a step away from Silicon Valley and look to Motor Valley, the epicenter of the Italian sports car manufacturing located in and around Modena. There, in the lush Po Valley, you’ll find the factories and headquarters of world-famous Ferrari, Lamborghini, Maserati, Pagani, De Tomaso and Ducati. These iconic brands are appreciated globally for their elegant design and ferocious power. Indeed, the V12 Lamborghini Aventador, produced in the small town of Sant'Agata Bolognese, can go 0-62 mph in 2.9 seconds. By the time you say, “Hey, are we going 60 yet?”, the answer is most definitely “Yes”! The global success of the Motor Valley has humble, organic roots. Did you know that Lamborghini started out making tractors? That’s right…check out this beauty. Having made good money producing tractors, the story goes that Ferruccio Lamborghini bought himself a Ferrari 250GT in 1958. After picking up a few more for his collection, Mr. Lamborghini concluded that Ferraris were too noisy to be proper road cars. Stories differ, but apparently Mr. Lamborghini encountered a clutch problem with his Ferrari and found that it was the same clutch he used in his tractors. Appalled, he requested a better replacement from Ferrari, who promptly informed him that he was merely a tractor maker and didn’t understand cars. (Another credible story says that Lamborghini had an altercation with Enzo Ferrari himself in an osteria in Modena.) At any rate, Lamborghini promptly sold his Ferrari collection and went on to found his own little company, Automobili Lamborghini. Ferrari too had humble roots. Enzo Ferrari, the founder, was a blacksmith and mule-shoer for the Italian army in World War I. Maybe that’s the inspiration for the equine logo, though other sources say it was a suggestion from an Italian countess. At any rate, Ferrari went from primarily a racing company to a road car manufacturer with global reach. In 2011, Ferrari sold 7000 automobiles around the world. It’s not unusual to have the pleasure of seeing them on the streets in California. Fiat owns both Ferrari and Maserati, which used to be bitter rivals but now go as far to share engines. Fiat, also headquartered somewhat nearby in Turin, is another feather in Italy’s auto manufacturing cap, having recently introduced the sleek Fiat 500 in the American market. Look how far they’ve come! Next time you are driving the ancient Via Emilia near Modena don’t forget to stop off and have a look at these impressive car showrooms. Ferrari doesn’t allow tours of it’s factory, but to get a look behind the scenes check out this video. And Ferrari wasn’t the only Motor Valley automobile on display at the Heritage Parade: the Fiat 500 was there in fine form as well. Being mentioned in Michelin equates to an establishment worth visiting. Stars are added to indicate a good restaurant in it’s category (one star); excellent cooking worth a detour (two stars) and exceptional cuisine worth a special journey (three stars). Italian Wines by Gambero Rosso and Slow Food Editore – the Bible of Italian wines! Italy produces, exports and consumes more wine than any other nation in the world which is an amazing accomplishment given the country is smaller than the size of California. Italy has produced wine for 4,000 years and it’s current production, including more than 5,000 varieties, totals 8 billion bottles with some of the most popular and highest rated wines anywhere. Italy exported 17 million cases of wine to the United States in 2001. Gambero Rosso reviews 2,057 wineries and 14,691 wines with a team of 110 tasters that is unmatched in Italian wine media. For each annual guide, a herculean effort is made by conserving, masking and tasting thousands of bottles of wine before scores are issued. No advertising appears in the guide. The rating system is from none to three glasses. Most wineries recommended by In Love With Italy include reviews of Gambero Rosso’s “Italian Wines”. One star is added to descriptions for cellars that have won ten Three Glass awards. ITALY Eyewitness Travel Guide by DK Publishing provides excellent, succinct overviews of historical and cultural highlights for each region. “Under the Tuscan Sun” by Frances Mayes for pure enjoyment and to make discovering Tuscany and Italy even more meaningful. “This beautifully written memoir about taking chances, living in Italy, loving a house, and, always, the pleasures of food, would make a perfect gift for a loved one. But it's so delicious, read it first yourself.” USA Today.